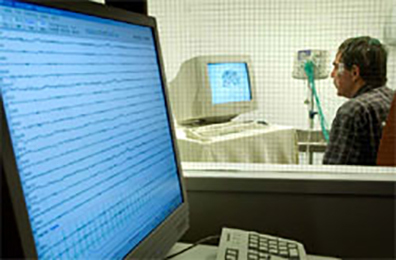 Electroencephalography (EEG) and functional Magnetic Resonance Imaging (fMRI) are two complementary methods which allow non-invasive brain function measurements. Both methods are widely used in neuroscience. While EEG has a very high temporal resolution, of only a few milliseconds, its spatial resolution is measured in centimetres. For fMRI the inverse is true: spatial resolution can be high, below 1 millimetre, but the temporal resolution is measured in seconds rather than milliseconds. The modalities also probe neuronal activity differently, each with its own limitations. The electrical currents measured by EEG are biased by cell type and architecture, as well as tissue orientation. On the other hand, the BOLD contrast measured in fMRI reflects a slower, and still not completely understood combination of hemodynamic and metabolic effects of neuronal activation. The combination of those two methods is therefore a highly powerful tool, which can be used to study processes such as sleep, where the EEG information is essential for the informed data analysis of the fMRI.